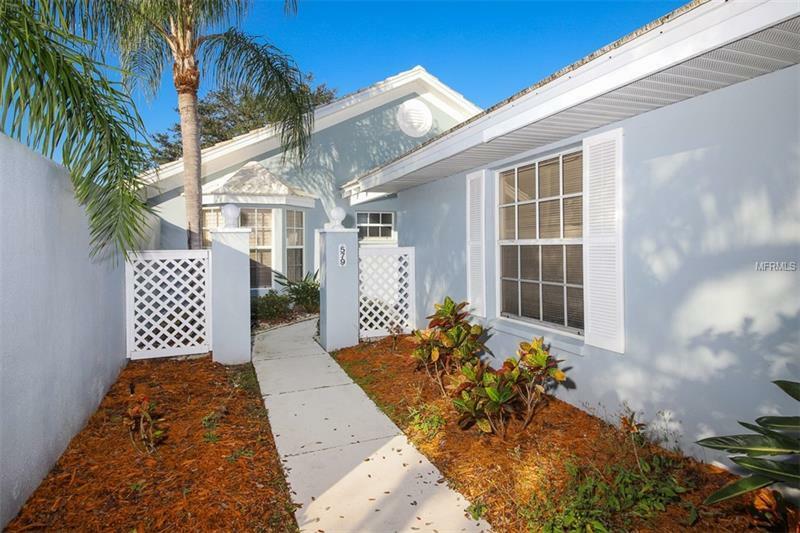 Welcome to one of Plantation's cutest little communities behind private gates, Clubside Villas. 60 homes in all, this one is situated on the large pond in the middle. You, therefore, have a beautiful view of the water out the Florida room which is surrounded by warm sunlight coming in from three sides. The clubhouse and pool that happen to be across the street from this unit are convenient to all activities and your swimming enjoyment. This home has been lovingly cared for and maintained. As you walk through the front door, you get a warm and caring feeling, that pride of ownership, with a comfortable atmosphere. Two bedrooms and two bathrooms, and a den are plenty of space for guests and the open living room and dining room are the perfect entertaining spot.